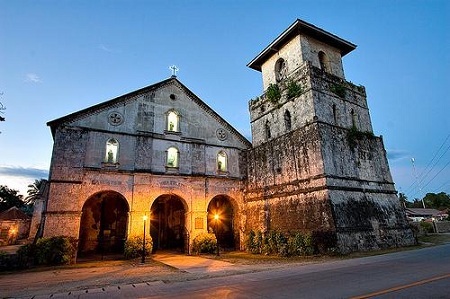 Almost all of the 47 towns have old, massive, stone Bohol churches with frescoes, carvings and other products of Spanish presence- one of the most attractive heritage character of the island. 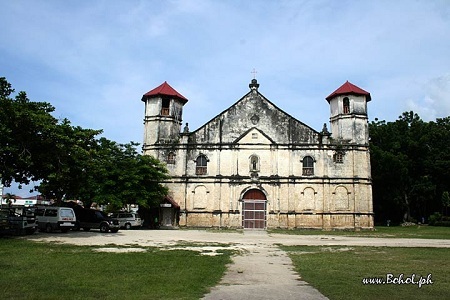 The large number of old churches in Bohol is one of the most attractive heritage character of the island. 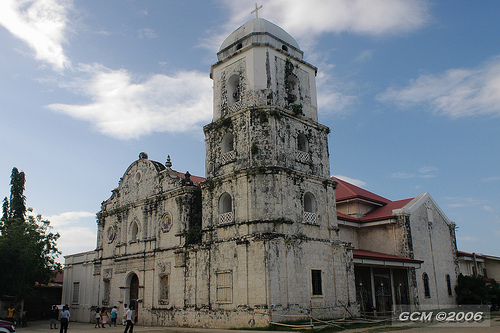 Almost all of the 47 towns of the Bohol Province have old, massive, stone churches with frescoes, carvings and other products of Spanish presence. 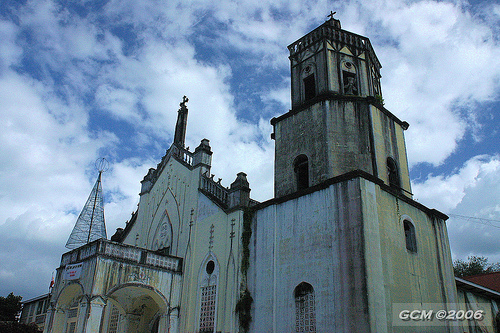 Churches are the first points of destination for tourists imbued with a deep religious faith. But churches are not merely places of worship or of pilgrimage. They are significant depositories of art, especially of painting, sculpture and music. They are living museums, rich in artifacts that are mementos of a faith that has blossomed through the ages. Spain’s main mission in sending expeditions to the East was to spread Christianity. As each Spanish explorer discovered land and claimed it for Spain, they immediately established missions to strengthen their claim. 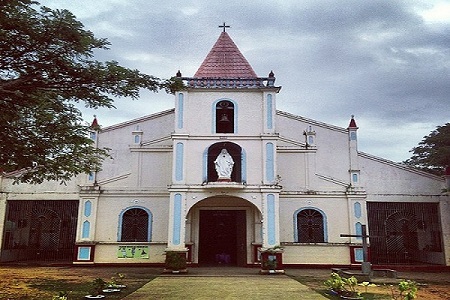 Early records show that the Bohol mission started from a request made to the Jesuits by a certain Dona Catalina de Bolanos, who acted in behalf of her encumendero son, Pedro de Gamboa. It was the role of encumenderos to Christianize the places they occupied. 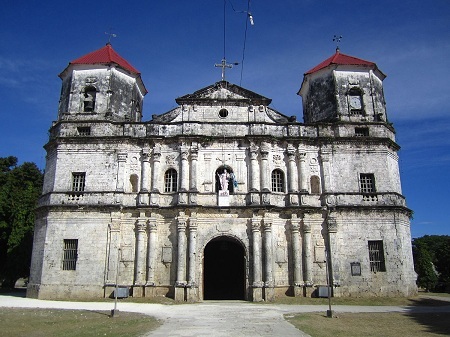 In the 16th century, Bohol had an estimated populace of 10,000. 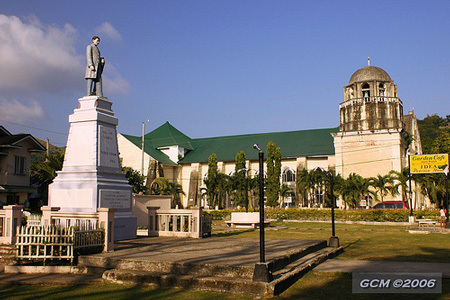 The early missionaries met setbacks in Bohol. 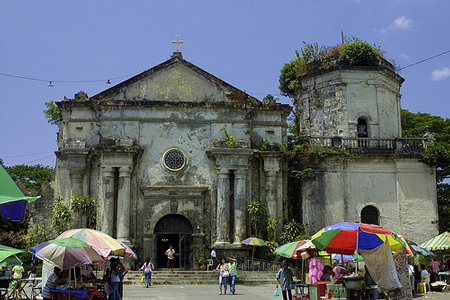 In 1621-1622, while the Jesuits were celebrating in Cebu the beatification of St. Ignatius de Loyola and St. Francis Xavier, the Diwata Rebellion erupted.. All the towns in Bohol, except Baclayon and Dauis, defected. Armed troops were sent to quell the revolt. Forced labor were imposed upon the rebels which resulted in the construction of the massive, centuries-old churches we now have today. 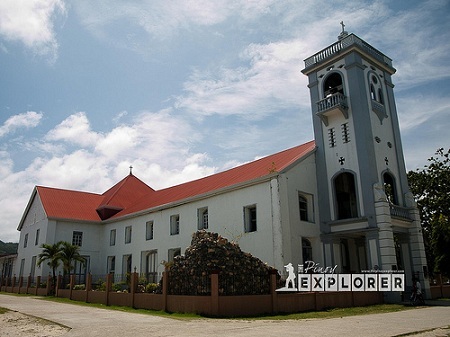 In the late 1700’s, the Residencia Boolana was moved to Dauis, in the island of Panglao. Panglao Island, which is composed of two towns – Dauis and Panglao , is separated from the mainland of Bohol by a narrow, shallow channel. Today, the island is connected to the mainland by two causeways and has become the major point of tourist destination with its multifarious attractions. 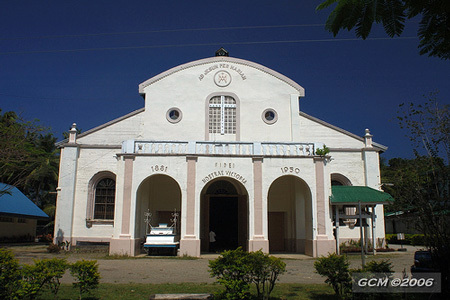 Since Spanish times, the Church in Bohol was a part of the Diocese of Cebu. 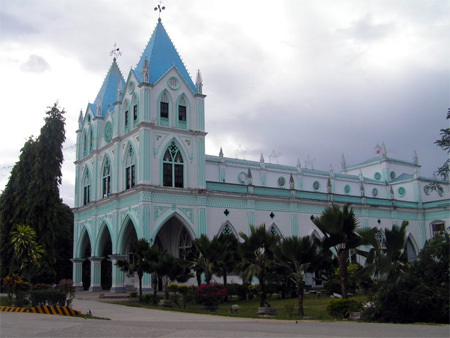 It was only on November 9, 1941 that Bohol became a bishopric, with Msgr. Julio Rosales installed as its first bishop. Msgr. Rosales eventually became Archbishop of the Archdiocese of Cebu and a Cardinal of the Holy See in Rome. 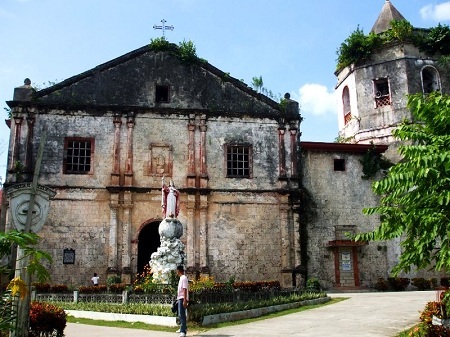 Alburquerque Church The Albur parish was established in 1869 after being separated from Baclayon, Bohol. 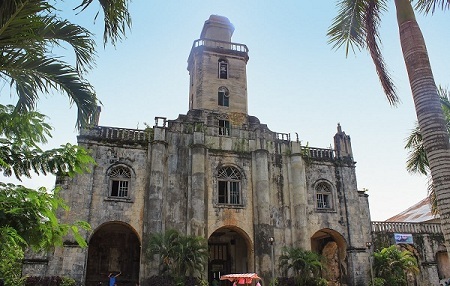 An 1886 reports indicates that the church was built of light materials, however, the convento described as "de grandes dimensiones" was already standing. Anda Church faces the beach, separated from it by a wide-open field. The church is cruciform with a plain and austere facade enlivened by doors and windows. The interior however is a pleasant surprise with the colorful ceiling paintings by Ray Francia, the retablos the use Greco-Roman motifs, and the Art Deco confessionals. The adjoining convento was built in the 1880s and completed a decade later. Antequera Church The Nuestra Señora del Rosario parish of Antequera was founded in 1880. The church by this date was of tabique pampango and other light material. 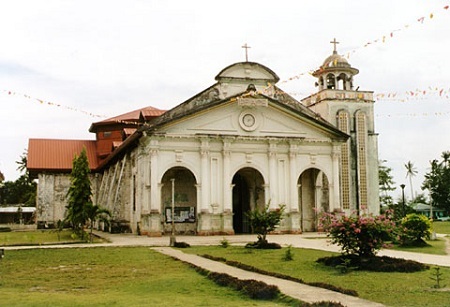 The Baclayon Church of the Our Lady of the Immaculate Concepcion in Baclayon town is considered as one of the best preserved Jesuit-built churches in the region. 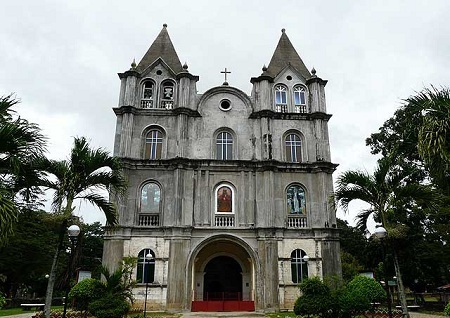 It is one of the best presevered Jesuit build churches in the region, although in the 19th century, the Augustinian Recollects added a modern facade and a number of stone buildings that now surround the church. 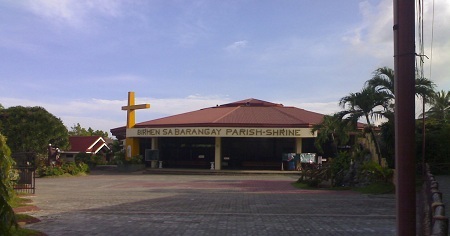 Balilihan church of poured concrete has a nave divided into three aisles, a portico in front of the facade and a bell tower in front of the portico. The cruciform church dedicated to Nuestra Señora del Carmen has a squat octagonal cupola. The interior is embellished with paintings by Ray Francia, and has altars that combine Corinthian columns, neogothic spires and crockets, Baroque volutes and Art Deco open work. A veritable summary of 200 years of style. 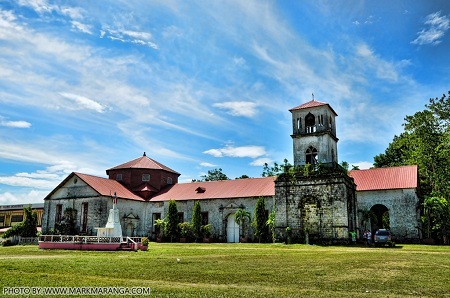 Calape Church is a good example how colonial styles persisted even if the Spaniards who promoted them had already left. All of the structure is basically a lintel and post type, gothic features like lancet arches, rose window, spires and crockets are merely decorative. 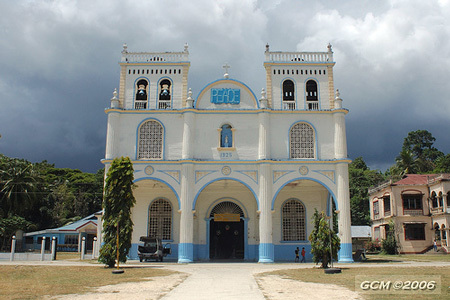 Candijay Church Candijay is a 4th class municipality in the province of Bohol, Philippines. 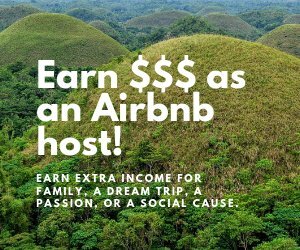 According to the 2000 census, it has a population of 30,389 people in 5,420 households. 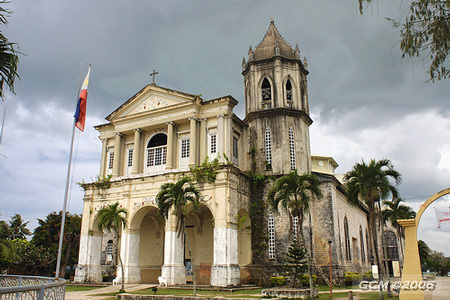 Clarin Church continues the neogothic style prevalent in Bohol with a central tower in front of the facade, which serves both a bell tower and portico. Lancet windows, finials, and other Gothic motifs are expressed in cement. Corella Church The people of Corella are predominantly conservative Roman Catholics who belong to the Parish of Our Lady of the Village (Latin: Nuestra Señora del Villar) whose feast is celebrated on April 27, only four days before the Feast of St. Joseph, the patron saint of Tagbilaran City celebrated on May 1. Cortes Church is perched on the slope of a low hill, the town of Cortes gives its church a dramatic setting. Shaped as a cruciform, this sedate building is of cut coral has an octagonal crossing tower. The interior is dominated by the painted ceiling done by Ray Francia. The main retablo has twisted Solomonic columns and profusely carved flanges in the Baroque idiom, a contrast to the otherwise revivalist line of the church. 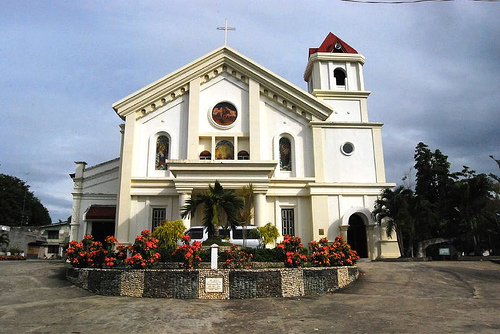 Dauis Church is another beautiful church in Bohol is the Church of Our Lady of the Assumption in Dauis, Bohol, on the Island ofPanglao. The church is built in a mixture of styles, influenced by both Byzantine and Romanesque architecture. Inside, on the ceiling, are some impressive frescoes painted Ray Francia in 1916. 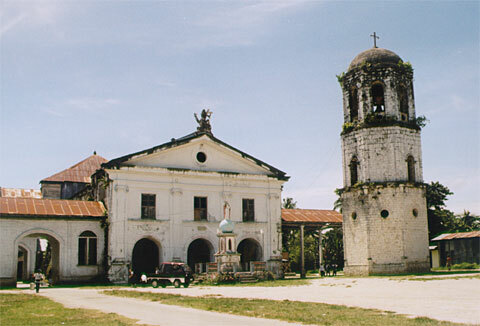 Dimiao Church of the San Nicolas Tolentino parish is in Dimiao, Bohol. The date of the parish's foundation is uncertain, although by 1750 there are records of baptism in the parish. The church may have been built toward the later half of the 19th century. 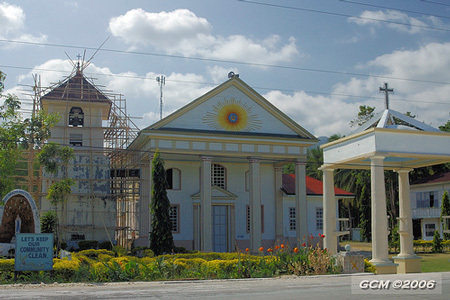 Duero Church is designed in the “Greek temple” revival style similar to a few churches (Anda, Dumaguete, and Malabon designed by Luciano Oliver in 1861 among them). But what sets Duero apart is the generous use of wood. Indeed, it is one of the few surviving “gems of Philippine architecture in wood” (Jose 2001, 50). 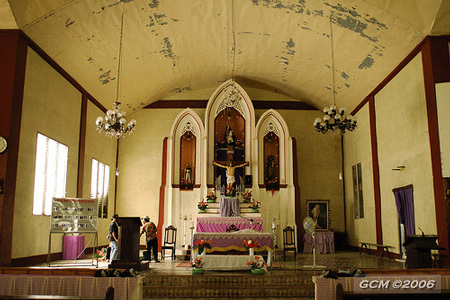 A heritage site, the present Garcia Hernandez Church was commenced in 1880 and completed in 1896, replacing an earlier church. However, an earthquake in 1990 damaged the facade. The rebuilt facade is in a completely new style unsympathetic to the older church. The interior has a main nave flanked by side aisles. A Doric frieze runs across the church. The device of the frieze and fluted columns are used in the retablo mayor. 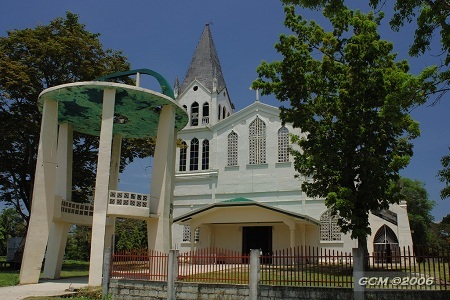 The present Guindulman Church is of mixed material, the lower register of coral stone and the upper of concrete, reflecting the long time it took to complete it. A portico was built in front of the facade and supports a balcony. The church interior is relatively bare, with ornaments from the 1950s and 60s. 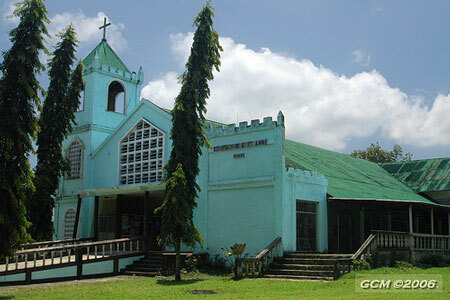 Inabanga Church is composed of various materials, the last being concrete, introduced by the secular priest Fr. Quiterio Sarigumba in 1931. The church uses gothic elements in the facade and has a portico in front of the entrance. 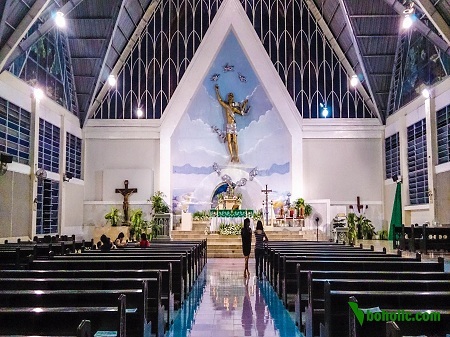 The interior is modern, except for an exquisite wooden tabernacle probably from Jesuit times and the murals of the Garces brothers, done in the style of Canuto Avila and Ray Francia. 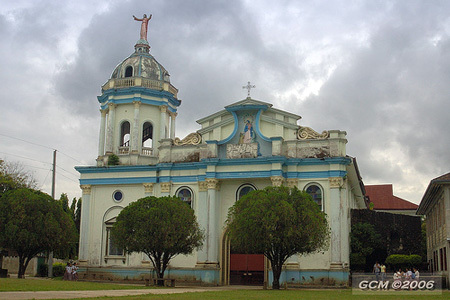 Jagna Church San Miguel Arcángel Parish. The present church of Jagna is greatly renovated. After suffering damage from a typhoon in the 1980s, its facade was heavily plastered with cement. The facade is embellished with a pointed arch reminiscent of Gothic. The church interior is also renovated. 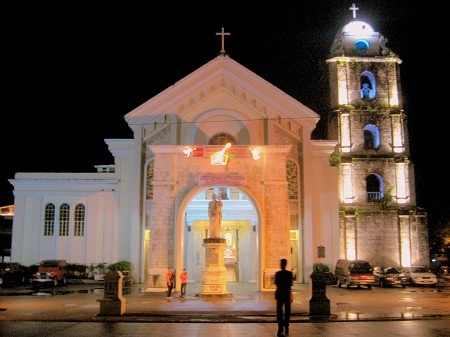 Typical of Bohol churches Lila Church has a portico, which is flanked by bell towers. The interior is divided by a colonnade into a central nave with flanking aisles. The altars, inspired by neoclassic lines, and the ceiling paintings demonstrate the persistence of the colonial idiom into the 20th century. 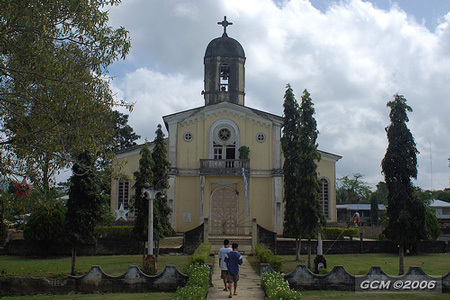 Loay Church is cruciform, has two facades: the older is decorated with low relief and the newer was apparently completed in the 20th century as its upper register is in reinforced concrete. The bell tower is a separate structure built at a short distance from the church. 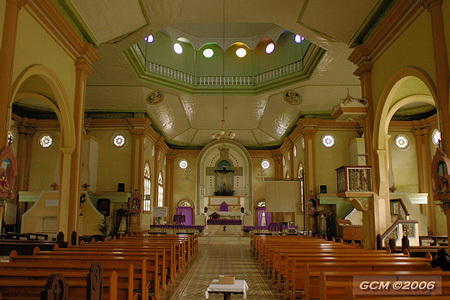 Like many Bohol churches the interior is painted with trompe o'eil and with Biblical scenes - in the Neoclassical style. 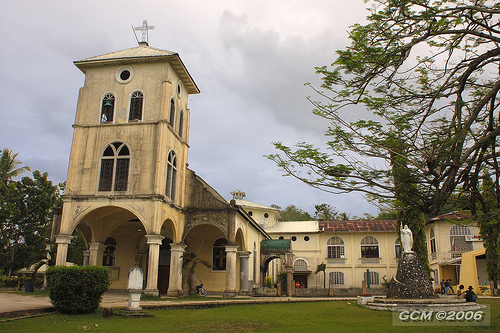 Loboc Church is decorated with carvings of cherubs, the Papal tiara and emblems of the Jesuit. It has two facades: the Jesuit-built Baroque facade decorated with unfinished medallions depicting saints and the Neoclassical portico added by the Recollects. Loon Church central facade surges forward giving it a dynamism more akin to Baroque than the Neoclassical style prevalent during this period. Delicately though inaccurately carved acanthus decorate the capitals of the twined columns of the facade. Between the twined columns are plaques incised with Biblical texts and dedicatory phrases. 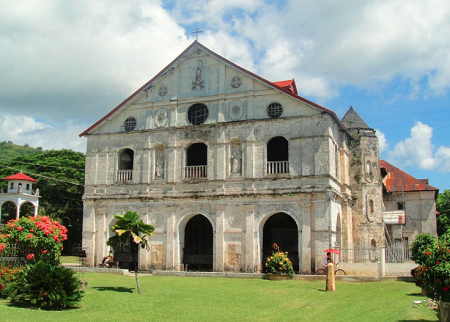 Whatever remains of the older Panglao Church facade indicate that it may have been Baroque in design. This church was ruined before in 1886, when it is reported that a provisional church of wood and tabique was constructed. To the rear of the ruins and at some distance, stands a five story bell tower/ watch tower built 1851. Octagonal in plan and covered by pitched roof, the tower is said to be the tallest of its kind in the country. 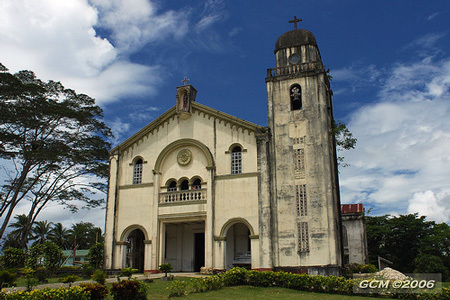 Among the many points of interest Tagbilaran city offers are three churches of the Catholic faith that deserves a prayerful tourist’s visit. 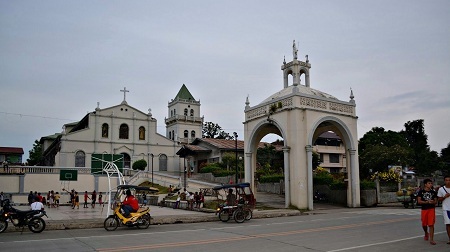 These are the centuries-old Cathedral of Saint Joseph the Worker, the Knights of Columbus Parish Church of Our Lady of Lourdes, and the Shrine of the Birhen sa Barangay of the Cogon Parish. The Talibon Cathedral of Talibon as built hews closely to the Escondrillas’ plan. However, the architect’s sedate plan for the facade’s was overtaken by a virtuoso display of the stone carvers art. Columns are sheathed in garlands of leaves. 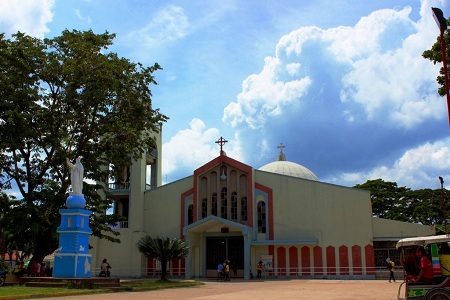 The facade’s rich ornamentation is unfortunately not carried into the plain interior.Talibon with the advocacy of the Most Holy Trinity is the cathedral of the diocese of Talibon, erected in 9 January 1986. 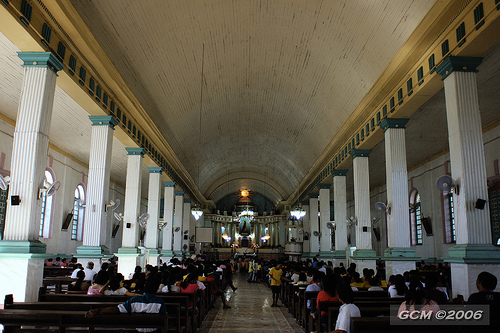 The Tubigon Church follows the basilical plan of a central nave with aisles, however, it has a transept, and crossing is covered by an octagonal cupola. The church fabric shows a mixture of materials, the upper part of the wall and most of the facade is concrete, however, the lower part is of rubble bound by lime mortar. 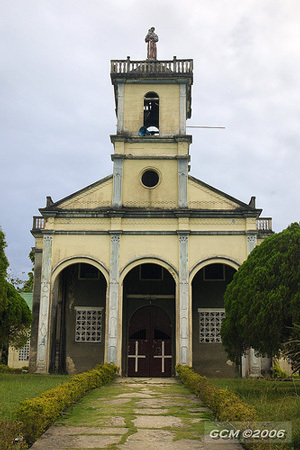 Although Redondo (1886, 182) describes the Ubay Church as provisional and made of wood, it was rebuilt soon after by Fray Buenaventura Marrodan (1891-97). The present church is of new construction. While parts of the apse, narthex and entrances to the transept belong to a 1920’s church, the rest were rebuilt when a typhoon damaged the church in 1968. The Valencia Church is cruciform with a steep roof and a pyramidal crossing tower. Cut stone is used in parts of the church like the facade, however, concrete is found elsewhere. The real treasure of the church is its wooden floor of alternating dark (tindalo or balayong) and light (molave or tugas) wood planks.